Despite their optimistic outlook, concern is growing among both the government and private sector that export growth could decelerate in the second half due to external risks. Students have complained that internship programs with Taiwanese businesses in ASEAN states are exploiting them, attracting criticism from academics and corporate managers. 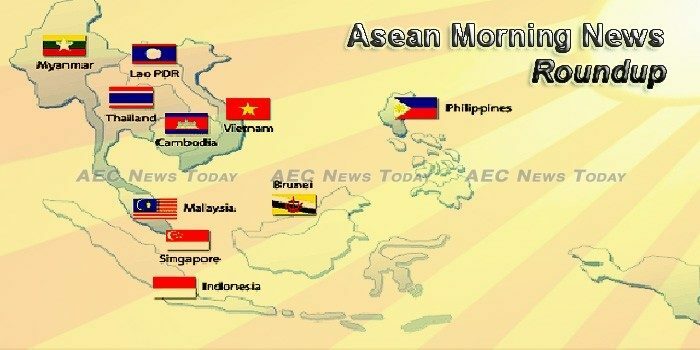 The government plans to add the Association of Southeast Asian Nations to the list of entities eligible for technical assistance from the Japan International Cooperation Agency. The Philippines and the other founding member of the Association of South East Nations (ASEAN) on Thursday signed a memorandum of agreement on establishing the ASEAN Federation of Electric and Hybrid Vehicles Association (AFEHVA). Nearly seven million – or two-thirds – of approximately 10 million international migrants living and working in ASEAN come from within the region (World Bank, 2015). The Department of Trade and Industry (DTI) vows to continue its effort of making the micro, small, and medium enterprises (MSMEs) the front and center of its economic agenda by forwarding initiatives at the regional level through the staging of the “ASEAN MSME Development Summit: The 7Ms Towards a Prosperous ASEAN MSMEs” to be held on 14 July at the Philippine International Convention Center (PICC) in Pasay City. Provincial authorities expect a big boost in Cebu’s tourism industry next week as senior ministers of the Association of Southeast Asian Nations (Asean) once again gather in the province for a meeting on July 1–7. The Stock Exchange of Thailand (SET) affirms its leading role in sustainable development in the region with the “Best Sustainable Securities Exchange SoutheastAsia Emerging Markets 2017” award by the London-based magazine Capital Finance International (CFI.co). THE fortunes of Singapore and Hong Kong are intertwined and their complementary roles are set to grow in the future. The strong inflow of Japanese investment is expected to continue on the back of both large-scale commercial projects and the consumer habits of Japanese expatriates residing and working in Cambodia, according to investment officials. Cambodia’s largest Special Economic Zone (SEZ) on Thursday became the first entity of its kind in the world to sign onto a new U.N. investment initiative aimed at environmental and social improvements such as gender equality and waste reduction in the workplace, according to officials. A judge in Cambodia on Thursday ordered the release on bail of five human rights workers who had been detained without trial for more than 13 months in a case connected to alleged wrongdoing by an opposition political leader. The FINANCIAL — The Asian Development Bank (ADB) has approved a $400 million policy-based loan to continue supporting the Government of Indonesia’s reforms to develop a more inclusive financial sector. The Ministry of Energy and Mineral Resources (ESDM) through the National Center of Coordinating Ministry for Energy and Mineral Resources affirmed up to H + 3 (three days after) Lebaran on June 28, the availability of fuel oil and liquid petroleum gas (LPG) in a safe position. Global consumer goods firm Unilever has suspended sourcing from an Indonesian-based palm oil supplier which was found to be in breach of policy on deforestation and peatland clearance. State inspection authorities in Laos have seized more than two dozen trucks after they were found to be hauling timber illegally logged by the wife of the governor of Attapeu province for sale across the border in Vietnam, according to an official source. The Joint Committee of the Mekong River Commission (MRC) met at a Special Session on the Pak Beng Hydropower Project (PBHPP) on 19th June 2017 in Vientiane, Lao PDR. Laos and development partners met yesterday to update key progress since the 2016 Round Table Implementation Meeting (RTIM) and discuss preparation for the 2017 RTIM including its timeframe and roadmap. Reach Energy Bhd (Reach Energy) aims to increase its oil production of between 4,000 barrels per day to 5,000 barrels per day by the end of 2017. While analysts anticipate a strong second quarter (2Q) for airports under the purview of Malaysia Airports Holdings Bhd (MAHB), they believe the second half of 2017 (2H17) will be tamer in terms of passenger volume. RHB Research Institute Sdn Bhd said the Malaysian government is unlikely to make any revisions to its 2017 Budget for now, despite a sharp pull-back in oil prices of late. Myanmar Investment Commission (MIC) has recently extended an invitation to local and foreign investors to invest in 10 prioritised sectors. Yangon, once famous as the seat of government, has turned itself into economic hub of the country, and is home to nearly seven million people. The government is aware that bribes are being demanded by certain officials from members of the public who come to offices seeking forms and letters of recommendations when applying for jobs, said U Thein Swe, Union Minister for the Ministry of Labour, Immigration and Population. As Philippine President Rodrigo Duterte enters his second year in office, he is confronting his greatest political challenge. For the past month, a legion of Islamic State-affiliated fighters, under the command of the Maute Group, have stubbornly held onto several barangays (neighborhoods) in Marawi, a provincial capital on the southern island of Mindanao and the country’s largest Muslim-majority city. Funding for Philippine infrastructure projects will shift away increasingly from public-private partnerships (PPP) to official development assistance (ODA) amid a lack of support from the private sector, Fitch Group’s think tank BMI Research said in an analysis released Thursday. THE DEPARTMENT of Tourism (DoT) has reverted P1.52 billion to the Bureau of Treasury (BTr) as it did not fully utilize its 2016 budget, the Commission on Audit (CoA) said in a report. The global economy should be able to adjust to rising U.S. interest rates but vigilance will be required as financial markets and households have become accustomed to ultra-loose monetary conditions, Singapore central bank’s managing director said on Thursday. Could Singapore be Thales’ Largest Repair Hub? Singapore is well on its way to being the largest repair hub in the world for Thales, the company said. Its repair volume has increased by more than 30%, and it has recently expanded its facility in Changi. The Government will set aside S$150 million for research and development of urban solutions, focusing on finding smarter ways to build and maintain infrastructure, creating new spaces for use, and a better living environment. Fiscal Policy Office (FPO) Director-General Krisada Chinavicharana said the Ministry of Finance will readjust the 2017 economic growth earlier forecast at 3.6 percent due to some contributing factors which have improved than initially expected. In Thailand, everything turns on the number 20. At the same moment the nation commemorates the 20th anniversary of the Asian financial crisis, Prime Minister General Prayuth Chan-o-cha is rolling out his 20-year vision for the economy where it all began. Vietnam’s economy bounced back in the second quarter of the year, posting growth of 6.17 per cent, according to official figures from the General Statistics Office (GSO) and driven by gains in the industrial and services sectors, though mining dragged growth down slightly. Viet Nam’s e-commerce may be one of the world’s fastest-growing markets, but the country’s customers are also among the most demanding. Vietnam Report has announced the top 10 commercial banks in Viet Nam in 2017, based on an evaluation of reputation, financial capacity and growth potential in the 2016-17 period.